Forward-thinking Oil & Gas executives are modifying their approach for evaluation of capital investments. Unique market conditions are being influenced by fluctuating prices and fundamental changes in the way fuels are generated, distributed and consumed. Volatile barrel prices, for example, influence decisions on feedstock, raw materials and utilities expense. These variables pose challenges when industry executives select automation systems to support business growth. To address this uncertainty and the difficulties presented when assessing the value of technology investments, more executives are turning to an underutilized metric, Return on Capital Employed (ROCE), for calculating efficiency and profitability. ROCE represents the percentage return that a company makes over its invested capital, a measure of the profitability and value-creating potential after taking into account the amount of initial capital invested. The ROCE ratio is expressed as Earnings Before Interest and Tax (EBIT) / Capital Employed. This blog is the second in a three-part series that assesses the impact of technology modernization on CapEx, OpEx and revenue generation. These three financial variables present an overall picture of how ROCE metric elements can be combined to determine the business value of automation technology investments. All three blogs reflect real-life downstream Oil & Gas industry case studies in which Schneider Electric played a key role as technology consultant and provider. Schneider Electric field studies have shown that OpEx savings of 2.1% (of total OpEx spend) can be realized through savings in costs of raw materials, energy, labor, and maintenance. In the particular case of a Gulf Coast refinery, these four areas were targeted for reducing operating expenses. Technologies were introduced across critical application areas (like feedstock management, distillation, product blending) in order to drive the cost cutting. The biggest contributor to OpEx savings ($32.9 Million) was reduction in raw material cost. New supply chain management technologies allowed planners to determine the most cost-effective feedstocks to process. Refiners were able to save between 0.5% and 10% of spot market feedstock purchases. Schedulers were also equipped to determine the desired production rate of products at maximum profit or minimum cost, while satisfying the refinery’s fuel supply obligations. The net result was greater operating flexibility in response to changing market and plant conditions. The second biggest contributor to OpEx savings ($4.95 Million) was in the area of energy cost. New tools established the appropriate throughput balance against the energy usage in compressors, reactors, heat exchangers, and furnaces resulting in an estimated 5% to 10% energy reduction per operating unit. The deployment of variable speed drives (VSD) instead of the use of on/off switches for compressors, pumps, motors, fans, and valves helped reduce energy consumption up to 50% compared to across the line motor starters. Built-in condition-based monitoring capabilities reduced downtime by 20%. Labor cost represented the third biggest contributor to savings ($3.6 Million). New methods for improving business process workflow (such as implementing best practices for emergency procedures involving pump fires in the plant or reactor maintenance) helped reduce labor cost by as much as 5%. In addition, new remote monitoring technologies allow experts to diagnose process, system and equipment issues without having to physically travel to plants. The final cost reduction target area, maintenance costs, represented $4.66 Million in overall savings. 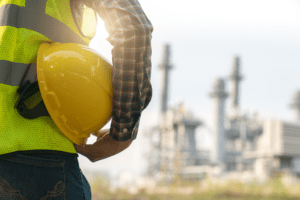 Plant equipment assets such as large rotating equipment, instruments, valves, low voltage (LV) panels, medium voltage (MV) switchboards, high voltage (HV) switchgear, power transformers, and MV motors were remotely monitored. This lead to early detection of asset health and performance anomalies so that downtime could be minimized. Cost savings of up to 10% of total maintenance budget were realized.